Barcelona star Messi has donated N30.5M won from defamation case to Doctors Without Borders. Barcelona star Lionel Messi has donated N30.5m (£65,000) which he won from defamation case to charity. Messi was awarded N30.5m (£65,000) from a defamation case which he won against Argentinean newspaper La Razón who were judged to have published vigorous criticism of the football star. 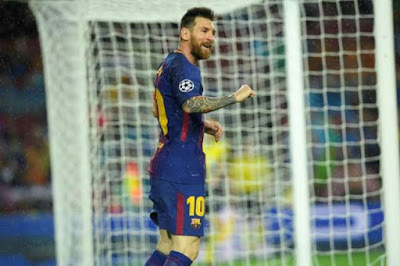 Before the ruling, the Barcelona star had pledged to donate the money won from the case to Médecins sans Frontières (Doctors without Borders). According to Mundo Deportivo, the association have confirmed receiving the money from Messi. Doctors Without Borders have not made any public statement about it due to their policy of not commenting on celebrity endorsements. A La Razón journalist Alfonso Ussia had reported that Messi wore a toupee and used performance-enhancing drug Nandrolone throughout the 2014 FIFA World Cup in Brazil. Messi was also heavily criticised by the newspaper when Argentina lost 1-0 to Germany in the final of the 2014 World Cup and a ruling has judged the criticism to have been "unnecessary and impertinent for the exposition of the ideas or opinions that the journalist attempts to transmit in the article" in a 2016 court case. According to the ruling, the article contained comments that "are objectively insulting and offensive despite the dimension of the player's public image and the pluralism, tolerance and open spirit which should reign in a modern society".